Throughout my academic life, before and after my university degree in ethnography/social anthropology, I have been connected to different faculties and centers of the University of Tromsø, now UiT - The Arctic University of Norway, Campus Tromsø and Alta (the former Finnmark University College). These days I am connected to the Center for Women and Gender Research as a professor emerita, where I was also the head of the board and the academic leader since 2005. I have been teaching, designing courses and supervising students at all levels. I have also been engaged in research politics through different research councils and programs in Norway. In addition to my research in Northern Norway, I've also had the opportunity to participate and collaborate with students and professors in Tanzania, Cameroon and Uganda through two different The Norwegian Programme for Development Research (NUFU) projects. The collaboration with researchers in Canada, especially at the Memorial University of Newfoundland, as well as in US and France has been important since the 1980s. I will say that this kind of varied collaboration has enriched my work and analysis. My research interests has, since the early 1970s, been concentrated around ethnographic studies focusing on women's and men's relations, situations, changes in fishery and fishery communities and fishery politic. In this way, I am one of the pioneers in gendered fishery-related studies, and have written on topics such as the hidden fisheries, women as the ground crew, the gender contracts in fishery households and communities. These topics have often been related to the ongoing fishery politics. SG: In the last few years I have been part of Mobile Lifestyles: Perspectives on Work Mobilities and Gender in the High North, a research project financed by the Norwegian research council (NFR). I have also continued my work on the fishery communities in Finnmark, Northern Norway. Most of all, I have been studying in what ways is mobile work such as fishing, commuting and migration intertwined and has impacts on the economic, political, social and cultural aspects of women's and men's way of living in small coastal communities. I am hoping to write more about the gender, in particular an article about some material that I collected years ago about small school-girls and -boys: how they consider their life in a fishing village and how they look upon their future settlement. This is a relevant topic in communities where mobility has always taken place. I am also interested in women in small-scale fisheries and their struggles for equality in working condition. An important thing right now is also the collaboration with Katia Frangoudes. We are currently editing a special issue on women and men in fisheries and coastal communities for the MAST journal. The issue contains articles from many coastal and fishing areas around the world. 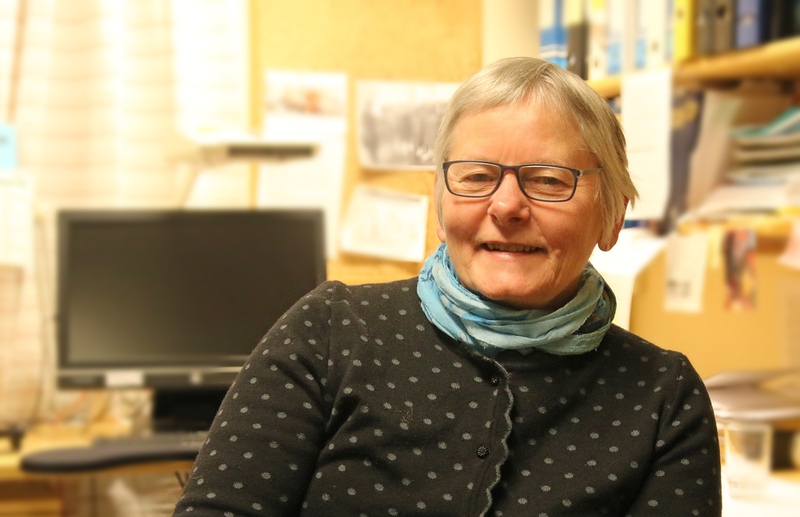 SG: In my Finnmark-research, I have focused on some of the changes that have taken place in the community. In many small communities there has been a heavy reduction in the number of local inhabitants, among them, families of bigger fishing boats with a crew, and in addition, a heavy reduction of stable workers in many of the fish-processing factories that now also recruit, often seasonally, foreign workers. At the same time, there has been a closing down of primary and junior high schools. It is now becoming harder to reach doctors and other public services. The result are communities with no or few elderly people above 80 years of age, no or few children and no or few new households. Such processes change some of the small villages from being a community with strong relations between the community itself, household and the fishing boat to an outport for fishers and tourist, especially fishing tourists as well as out-migrated home-comers. In order to stop such centralization tendencies, it is important that families settle and establish new households and maintain the community life. It is therefore important that communities have employment opportunities for women and men that fit their education and interest, as well as have kindergarten and school. Without a change in ideology, politics, and political means this will not happen. As such, we must fight for a fishery that gives formal rights not only to men in the fishing households, but also to women who participate in fishing-related work. We must fight for means and environments that make it easier for young women and men from the fishery districts to start fishing, including small-scale fishing. We must fight for keeping the fish resources as a basis for a good way of living, not for investments and capital accumulation, like today's fish quotas. We must fight for a climate policy that sustains the fish resources near the coast. In other words, we need comprehensive and overall policies that see the relations between fishing, fish production, schools and other important public and private institutions (like health service, public transport etc. ), of course, in gender and indigenous perspectives. We must never forget that we are a part of global fishery world. Even though gender now is recognized as important in fisheries, for example by FAO, the implementation of the gender into national politics, projects and practices still has a long way to go. The southern scholars should be given the possibilities to build up and develop this type of knowledge. Journals, also western journals, should publish more of this kind of work. "The continuous production and transcendence of new knowledge that characterize the post-industrial world requires a different kind of participation - one which liberates people to play an appropriate role in articulating their own aspirations, creating their own visions of the GOOD LIFE-, and thus defining their own priorities in a development which does not lead them as latecomers to where others already are, but as pioneers to where they themselves which to." (Barth 1992).